Basically, I was away from my life and from my work from mid-June to mid-August. That means that July was not a month for a lot of progress on books or book sales, and yet there were some things happening. I had one guest appearance on a blog while I was away and, by the miracle of blog scheduling, I even posted an entry here at The Starving Artist (and a few elsewhere). 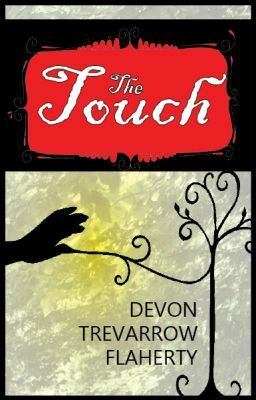 Plus, I started out the month learning that I won my third honorable mention in general fiction, this time with the Hollywood Book Festival. Apparently, they think my book would make a good movie. That’s always exciting, although a first place would be lovely, too. Mind you, I was still reading my heart out, and amassed book reviews in my upper story even though not down on virtual paper (yet). So look forward to several reviews in quick succession, some of which may even appear backwards in time. Identity Thief (2013). Despite that I know and love people who enjoyed this movie, I am going to say that it was a stinker. I thought it was pretty terrible for lots of different reasons: it was too slow; it was too crass; it was too far-fetched; it wasn’t even very funny. You want to see a new comedy, stick to this next one. 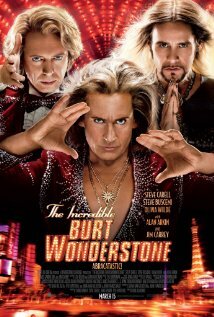 The Incredible Burt Wonderstone (2013). Steve Carell, Steve Buscemi, Jim Carey, in a slightly dark, clean comedy. What’s not to like? I really enjoyed chuckling at this flick, one I had never even heard of before seeing it in the Lufthansa offerings. Not a ton to say, except that if you too have not heard of it, it is about the turf wars between old-style, casino-spotlighting magicians and the new-style, freak-you-out, street magicians. Jim Carey’s character is great. Jack the Giant Slayer (2013). Yeah, it was okay. Too gory for my kids, but entertaining enough for a summer blockbuster. Not like you are surprised by what happens at any given time, but the final product is seamless and shiny, ready to reel in the dough. Admission (2013). See this instead of Identity Thief. A decent movie with plenty of heart. You’re not going to go laughing down the aisle, but you will probably enjoy the movie. And Tina Fey is still the belle of Hollywood, isn’t she? Downton Abbey Season Three (2013). Whoa. First of all, we all know that I love Downton Abbey with the best of ’em. Even Kevin loves Downton Abbey. However, however, however, I am sad to report that the ending of season three was terrible. I don’t want to launch into some huge explanation and therefore heap on the spoilers, but I do have a huge explanation I could give. Let’s just suffice it to say that every single plot line and twist in the final episode of season three had been done before. Go ahead. Give yourself time to think about it. It’s as if the head writer got the flu and the other writers just decided on a mash-up. Which is why you were so disappointed when the final ka-pow! at the very last minute left you feeling irritated… it was redundant and therefore completely unnecessary. Ug. And yet I will be giving Downton a chance again next season, in hopes that they all can recover from the disaster before they do the whole Brisith one-two-end-the-series punch thing. The Guilt Trip (2012). I am getting repetitive here, but another fine comedy. You know what’s coming, at least for the most part, but you enjoy the one-liners, the relationship and the relational aspect of the movie. You believe Babs is Seth Rogan’s mom. You laugh. You sigh. You cringe at how fast your own son is growing up and wonder what your mother-son road trip will look like in twenty years… well, maybe that’s just me. Then you turn it off having some little nugget of wisdom (or just enjoyment) tucked away. 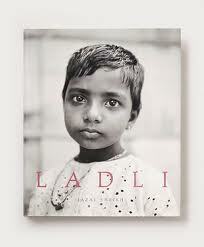 Fazal Sheikh’s Ladli (2008). My mother-in-law picked this non-fiction picture book up a yard sale or a used book store and had it waiting for me to read on my vacation. Overall, I would recommend the book simply because it is full of valuable information, interesting stories, and beautiful photos. My one caveat: it could have been much better. At any rate, if you are interested in humanitarian, womens’, or human trafficking issues, you will want to take a look at this book (full of stories about selective-abortion/female feticide in India and the cultural repercussions thereof). Lowland Hum’s Native Air (2013). I have supported exactly three bids on Kickstarter over the past year. One was for the YA book series Wollstonecraft, and two were for low-energy, alternative couples bands Trouvere and Lowland Hum. Lowland Hum has finally delivered on their promise of a free album to their supporters, and I am happy to say that it is a good one. While part of their allure is their approach to full-sensory entertainment (as in burning smelly candles and handing out things at their shows), you cans still enjoy their music without it. What my mom would call “college music” because of it’s mellowness, blossoms out of real calm, solid talents and lots of hard work and love, even if they aren’t totally polished, yet (or actually, it’s not that they are not polished as much as it is they drop off each song before it has been developed properly. Shortness is part of it, but so is a lack of exploration of the song, lack of immersion/development). 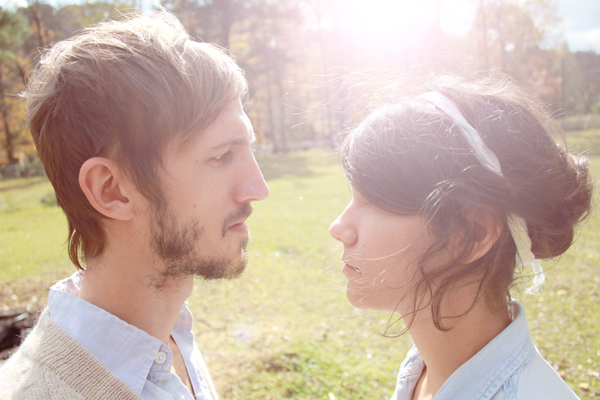 If you like folk rock or folk or “college music,” you should check them out. We also finished up the second season of Supersizers Go…, which I sung praises to a few months ago. I still like it, would watch a lot more, but was bummed to find that what started in season one as a whole-hog experiential week of something in England’s history has turned into a multi-experiential week of sometime in British or pre-British history. See the difference? Oh well, then, see it for yourself.